Discussion in 'Archive' started by Yumi, Aug 15, 2018. You will be able to master a completely new System of Attributes that is not similar to anything you have seen before and develop your Elemental Spirit, which will strengthen your attacking and defensive characteristics in hunting and in PvP! Goddard city is introduced alongside with several hunting zones for characters level 78 and higher: the good old Varka, Ketra, Hot Springs, the Garden of Beasts, and of course, unique natural locations where you can level your Elemental Spirits! Elemental Kings and Queens are already waiting for you in their lairs and ready to fight! Mighty creatures are incredibly strong, and even the most prepared group of players will have tough time defeating them! Plunge into new Catacombs of Dark of Omens and Disciple’s Necropolis to challenge the bosses of the Seven Signs - Anakim and Lilith! A truly valuable reward will be awaiting for you - special Anakim and Lilith Runes, worthy of only the most experienced players! Move further to destroy new Raid Bosses lvl 80! Do not forget about new "Balthus Knights - Zaken" instance zone, where you can obtain a large amount of experience and try your luck in Damaged Zaken`s Earring modification attempts! Annihilate New Raid bosses level 80! Do not forget about the new time zone “Balthus Knights - Zaken”, where you can obtain a lot of experience and try your luck in the modification of the Damaged Zaken Earring! Learn new skills and adapt to the changes of the existing ones! Many limitations in the use of skills have been weakened or abolished. Complete new daily tasks, hunting in new and already familiar locations! All these changes will be applied during the maintenance on Wednesday. New version of the Game Client – Classic 2.0_180221. Date of Seven Signs update: 22nd of August 2018.
diMiTr1, Troy, Raganele and 4 others like this. – There are 4 attributes: fire, water, wind and earth. They are embodied in a form of Elemental Spirits: Ignis (fire), Nebula (water), Procella (wind), Petram (earth). – A player can look at his elemental spirits in the “Elemental Spirits” window. As opposed to Agathions, they are not summoned and do not follow your character. 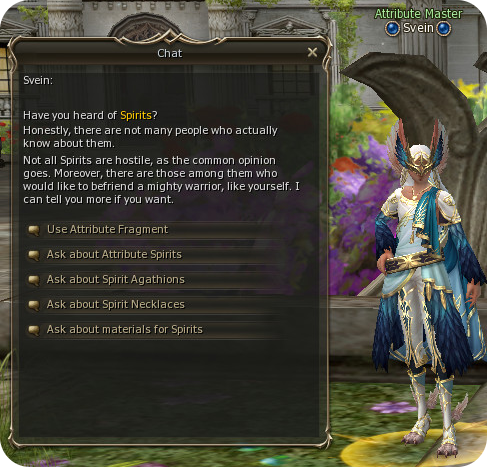 Moreover there are Spirit Agathions that can be purchased via NPC Svein. – Svein will also provide you with all the details about the attribute system and Spirits. – Attributes give your character a bonus while you are hunting monsters, raid bosses or in PvP. Summons do not gain any bonuses from attribute system at the moment, but this will be reworked in the next updates. – If a character uses skills of the old “attribute system” like Hydro Blast, then even with an active Fire attribute your character will receive the attribute bonus. – The attribute can be switched via clicking a special icon in the Player Status window. – Only 1 attribute can be chosen for attack. The delay between switching the attributes is 10 seconds. Defensive attributes are active permanently . – There is a correlation of opposing attributes: water is stronger that fire, fire is stronger that wind, wind is stronger than earth and earth is stronger than water. It is important to choose a proper attribute in the field. – The attribute damage is affected by the difference between the attribute attack and defense of both sides. – If a character attacks an elemental monster, the damage will depend on the attribute attack of the character and attribute defense of the monster. – The Spirit has 10 levels in total. All attribute Spirits have the first level and 0% attribute experience in the beginning. 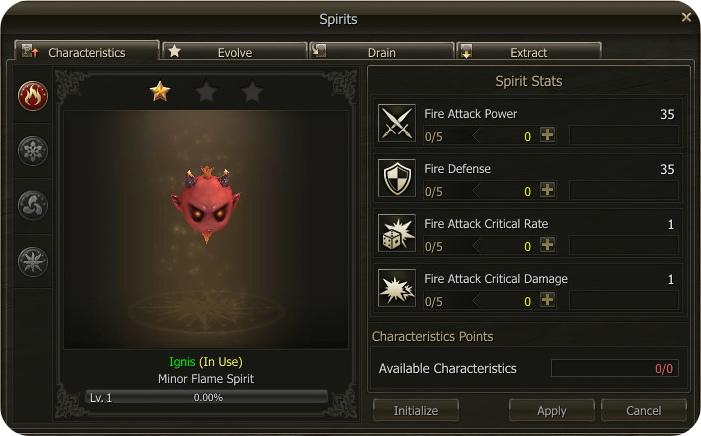 – As soon as the Spirit gains level 10 and 100% attribute experience points, the Spirit may be evolved from stage 1 to stage 2, then from stage 2 to stage 3. The current stage is displayed with a “star” above the spirit. – When the Spirit’s level is increased it gets a point that can be assigned between 4 different stats: attack, defense, critical chance and critical power (one point on levels 1 and 2 and 2 points on level 3). – Each point grants +5 to attack and defense and +1 to critical chance and critical power. – Spirit points can be re-assigned at any time for 50,000 Adena. – The Spirit can be reset to its initial state – level 1 and 0% attribute experience. The level of evolution (stars) is not reset. – The reset of the Spirit grants you Attribute Fragments. The higher the level and the amount of experience, the more fragments you get. – Attribute Fragments can be exchanged for Attribute Necklaces and other useful goods via NPC Svein. – Spirits gain experience in the specified hunting zones which are marked with special signs on the World Map. Earth - - Wall of Argos - Experience for the Wind Spirit. – Only the corresponding Spirit will get attribute experience points in the specified locations. If your character goes to the Forge of the Gods, for example, your Water Spirit will receive attribute experience points whichever attribute is active. – Acquired attribute experience is stated in the system chat. Spirit's Blessing Use to get Attribute XP Bonus +20% for 20 min. Cannot be exchanged, dropped, or sold. Can be stored in a private warehouse. diMiTr1, Troy and Wilczka like this. 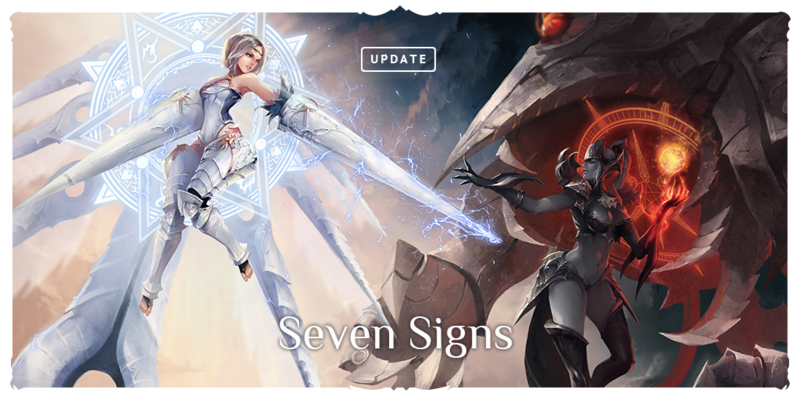 Raids of Seven Signs have been added - Anakim and Lilith. – You can get acquainted with the list of rewards and Exp amount from Raid Bosses from our encyclopedia (click links in the table below). Located in the Catacomb of Dark Omens. Located in the The Disciple's Necropolis. – Anakim and Lilith are world bosses. It means that they can be challenged only by a command channel, which has won a standoff for them. – If one of the Bosses gets killed before, the other one becomes invincible for five minutes. – Recommended number of raid participants - 10 groups and more. – Residences of Anakim and Lilith can be entered anytime even without a group or command channel. The only condition is level 76 and above. 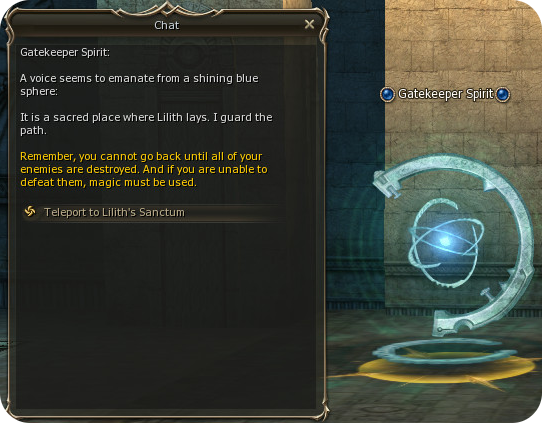 – NPC Gatekeeper Spirit appears in the residences for 10 minutes after raids are completed. It can be used to leave a dungeon. Raid participants will be teleported to the entrance of Catacomb of Dark Omens (Anakim) and entrance of the Disciple`s Necropolis (Lilith). – Characters can not be summoned to the residences of Anakim and Lilith. Location for free tp is also not saved in these zones. – Anakim and Lilith do not go berserk as usual Raid Bosses and do not use “Limit Barrier” skill. – In case of death in raid zone, characters lose exp and items in the same way as in regular zones. Instance zones where Spirit Kings can be challenged have been added. – Characters do no lose exp and items in case of death in instance zones. – All details about raids` peculiarities can be found in our encyclopedia (click links in the table below). The list of rewards can be also found in the base - click the Raid Bosses names links. Instance zones: Balthus Knights - Zaken has been added. 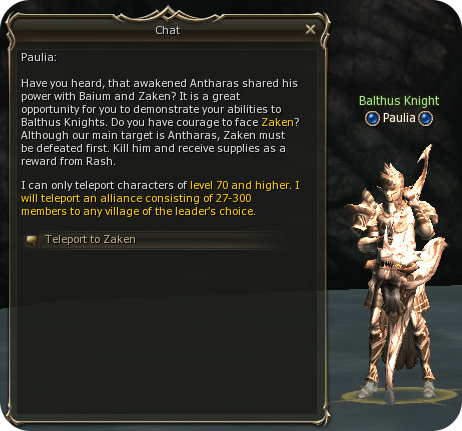 – Balthus Knights - Zaken instance zone can be entered via NPC Paulia , who can be found on Devil's Isle. – Characters do no lose exp and items in case of death in instance zone. – Simplified version of Zaken do not drop any rewards. Raid participants have to obtain it from NPC Rash. Rash's Supplies - Zaken — 1 pcs. High-grade XP Scroll Ticket — 1 pcs. High-grade XP Scroll Ticket — 3 pcs. Magical Tablet — 1 pcs. — Reward in form of Exp and SP is not provided. — High-grade XP Scroll Ticket can be exchanged on XP Scroll: 100,000,000 via Rash in Balthus Knights - Antharas and Baium instance zones, and via Senior Appraiser Leo. Damaged Zaken's Earring — 1 pcs. Balthus Knights' Varnish — 1 pcs. Balthus Knights' Shining Varnish — 1 pcs. Balthus Knights' Glittering Varnish — 1pcs. – "Death to Pirate King!" quest can not be finished in the Balthus Knights - Zaken instance zone! – Find out all the details in our encyclopedia: Balthus Knights - Zaken. – Balthus Knights - Antharas and Balthus Knights - Baium instance zones rewards have been changed. Rash's Supplies - Antharas — 1 pcs. Rash's Supplies - Antharas — 1pcs. High-grade XP Scroll Ticket — 2 pcs. High-grade XP Scroll Ticket — 4 pcs. Rash's Supplies - Baium — 1 pcs. New hunting zones of the Seven Signs have been added. – Catacomb of Dark Omens has been added at the outskirts of the Dark Elf Village. – The Disciple's Necropolis has been added at the outskirts of the Town of Aden. – Find out all the details about these zones in our encyclopedia (click links in the table below). Catacomb of Dark Omens Lvl 76~80 Zone for solo and group hunting Teleport to the Dark Elven Forest from the Dark Elf Village. The Disciple's Necropolis Teleport to the Fields of Massacre from the Town of Aden. Town of Goddard and its outskirts have been added. – All basic functions of NPC are available in the town (grocers, warehouse, teleports and etc.). – Teleport to the Town of Goddard is available from Aden and Giran. Four new hunting zones are added at the outskirts of the Town of Goddard. – Each of these zones can be moved to via Gatekeeper Tatiana in Goddard. Garden of Beasts Lvl 78–80 Zone for solo hunting Teleport from Goddard. Four elemental hunting zones, where you can develop elemental Spirits, have been added. Forge of the Gods Lvl 78–82 Zone for solo and group hunting Teleport from Goddard. Garden of Eva Teleport from Giran. – There are no regular drop in these locations. But regular Exp and SP can still be obtained. – Evolution Stone and Spirit Rough Jewel, which are necessary for the Spirit development, are the only special items which can be obtained in elemental hunting zones. These items can be obtained only from special mobs (green title). – The same as existing field bosses, new bosses respawn in a random time. – Reward, amount of Exp and SP, lvl of the Boss have remained the same. – Many Raid Bosses lvl 50 and higher from now on use “Limit Barrier” skill when their HP reaches 90%, 60% and 30%. 500 hits in 15 seconds are required to destroy the barrier. Amount of damage does not matter. If barrier destruction is failed, Boss restores full HP. Death Knight, who randomly appear after boss`s death, also use Limit Barrier. Epic Bosses Orfen, Queen Ant and Core also use Limit Barrier. Epic Bosses Antharas, Zaken and Baium and their analogues in instance zones do not use Limit Barrier. Raid Bosses in Clan Arena do not use Limit Barrier. – Amount of Exp and SP has been significantly increased. – Respawn time of raid fighters has been significantly decreased (for those bosses who summon helpers). – Drop rate has been significantly increased. – Amount of Exp and SP has been doubled. – Respawn time of Angel Priest of Baium`s raid warriors has been significantly decreased. – Amount of Exp and SP from mobs has been significantly increased. – Amount of rewards and its drop/spoil chances has been changed. – Amount of Adena dropped is decreased by 30%. – Amount of Exp and SP from mobs has been decreased a little. 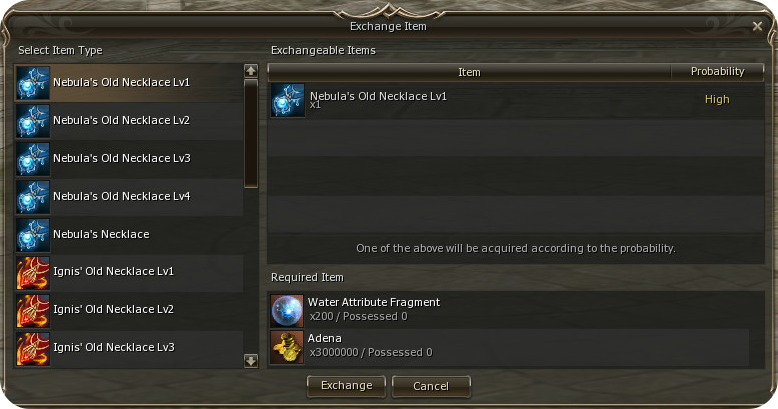 – Amount of Adena dropped is decreased by 10%. – Mobs respawn time has been decreased. – Amount of mobs has been increased. – M. Def. of mobs has been significantly decreased. – Lesser Giant Marauder Hunter Destroyer does not respawn in the hunting zone anymore. – M. Def. of mobs has been decreased a little. – Ancient Marauder Hunter does not respawn in the hunting zone anymore. – In case of death in the Balthus Knights - Baium instance zone characters do not lose Exp and items. Meanwhile in the world Baium raid regular death penalties are applied. – Due to the “Limit Barrier” skill addition, Epic Boss Orfen teleports to her nest when HP is 25% but not 50% as it used to be. – Mobs in the Blazing Swamp zone return to the respawn spot if tried to be dragged too far away. – Fixed an issue when Raid Boss`s Berserk effect could be dislodged from effect line by imposing multiple positive effects. – Fixed an issue with on-screen message in Zaken`s habitat, which indicated that “Looting rules are no longer active”, even when Zaken was not attacked. Attacks the enemy using a shield with 1525 Power added to P. Atk. Inflicts Stun on the target for 2 sec. Cancels enemies' target. Requires a shield. Over-hit. 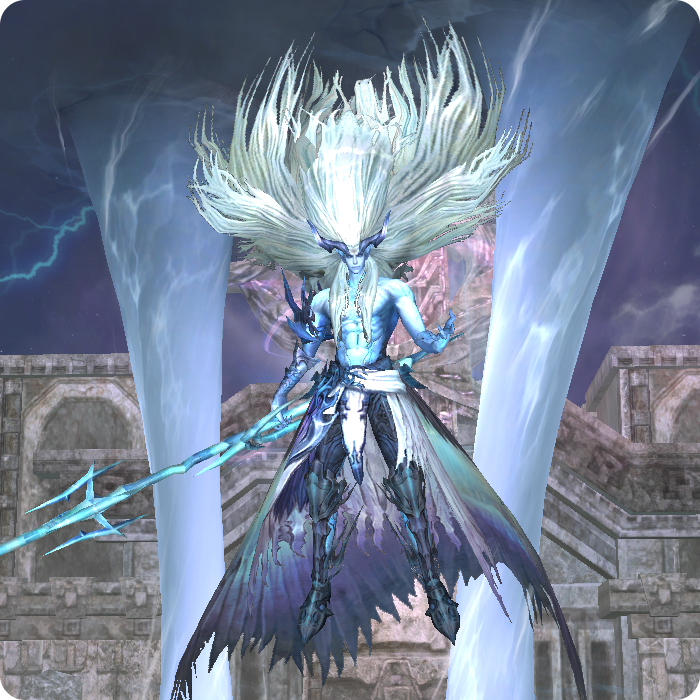 Mass Recharge Shillien Elder, Shillien Saint Recovers MP with up to 240 Power, depending on party members’ levels. Consumes 5 Spirit Ore.
Summon Friend Warlock, Elemental Summoner, Phantom Summoner Teleports a party member to one's current location. Requires a Summoning Crystal on the target. Spike Bounty Hunter Adds Spike to the Blunt weapon to increase Attack by 10% and weighted value to Stun by 20% for 20 minutes. Encase Armor Warsmith Thickens the surface of heavy armor to increase P. Def. by 10% for 20 min. Sublime Self-Sacrifice Cardinal The character sacrifices himself to regenerate HP/ MP/ CP of allies (excluding himself) and activates invincibility for 15 sec. Cursed Field of Shillien Shillien Elder, Shillien Saint For 30 sec. resistance to melee weapon of target and enemies near -16%. Cannot be stacked with Stigma of Shilen. Shield Charge Phoenix Knight, Eva’s Templar Inflicts Stun on the target for 5 sec. Attacks the enemies in front of you using a shield with 2191 Power added to P. Atk. Requires a shield. Over-hit. Fall Down Titan Inflicts a powerful strike on target with 4937 Power added to P. Atk., knocking down for 3 sec. Requires a sword, blunt weapon, spear, fist weapon, dual blunt weapon. Critical. Ignores Shield Defence. Provokes enemy into attacking and decrease his P. /M. Def. by 4% for 30 sec. Provokes nearby enemies into attacking and decrease their P. /M. Def. by 4% for 30 sec. Sacrifices one’s own 1102 HP to regenerate HP of party members. Power 771. Damage has been increased for normal physical attacks, physical and magic skills. 2.5 min. → 3 sec. Prominence Sorcerer, Archmage MP consumption has been reduced. Rain of Fire Sorcerer, Archmage MP consumption has been reduced. Tempest Spellhowler, Storm Screamer MP consumption has been reduced. Rapid Fire Silver Ranger, Moonlight Sentinel The effect of range decrease has been changed. Snipe Hawkeye, Sagittarius Before: movement is impossible at Lvl. 1–8, decrease speed for 150 at Lvl. 9. Angelic Archon Paladin HP restriction for skill using has been removed. Guard Stance Temple Knight, Eva’s Templar P. Def. has been increased by 50%. Great Fury Doomcryer Before: trigger-effect activated only for normal attacks. Heavy Armor Mastery Bladedancer, Spectral Dancer, Swordsinger, Sword Muse Now skill can be learned at 2nd and 3rd classes. Maximum skill level – 60 (at 84 character level). Knighthood Phoenix Knight New skill levels have been added after 79 character level. Sacrifice New skill levels have been added after 81 character level. Final Fortress New skill levels have been added after 76 character level. Final Fortress Hell Knight New skill levels have been added after 76 character level. Life Scavenge New skill levels have been added after 79 character level. Summon Dark Panther New skill levels have been added after 83 character level. Hamstring New skill levels have been added after 79 character level. Knighthood New skill levels have been added after 79 character level. Final Fortress Eva’s Templar New skill levels have been added after 76 character level. Final Fortress Shillien Templar New skill levels have been added after 76 character level. Lightning Strike New skill levels have been added after 83 character level. Mass Lightning Strike New skill levels have been added after 81 character level. Armor Crush Fortune Seeker New skill levels have been added after 78 character level. Ground Shaker New skill levels have been added after 77 character level. After: skill can be learned in succession from 77 to 84 character level. Armor Crush Maestro New skill levels have been added after 78 character level. Summon Mechanic Golem New skill levels have been added after 82 character level. Knights The effect of aggression has been increased by 10%. Summon Mechanic Golem (Lvl. 10–14) Maestro Soulshot/Spiritshot used by servitor has been decreased to 2. – Fixed an issue when attacks after using Spoil Crush didn’t consume Soulshots. – Fixed an issue with “Item Skill: Music Clarity” reducing Recast Time instead of MP consumption for Melodies and Dances. – Elemental Necklaces that increase elemental defence and XP bonus in elemental hunting areas were added. They can be bought and upgraded with certain probability via NPC Svein. – Ignis’/Nebula’s/Procella’s/Petram’s Necklaces can be get only as drop from corresponding raid bosses. MP +35, Fire Resistance +20, Attribute XP +3%, M. Def. +87. Grade: No-Grade. Cannot be upgraded. MP +37, Fire Resistance +40, Attribute XP +6%, M. Def. +90. MP +40, Fire Resistance +60, Attribute XP +10%, M. Def. +93. MP +42, Fire Resistance +80, Attribute XP +15%, M. Def. +96. MP +50, Fire Resistance +100, Attribute XP +30%, M. Def. +100. MP +35, Water Resistance +20, Attribute XP +3%, M. Def. +87. MP +37, Water Resistance +40, Attribute XP +6%, M. Def. +90. MP +40, Water Resistance +60, Attribute XP +10%, M. Def. +93. MP +42, Water Resistance +80, Attribute XP +15%, M. Def. +96. MP +50, Water Resistance +100, Attribute XP +30%, M. Def. +100. MP +35, Wind Resistance +20, Attribute XP +3%, M. Def. +87. MP +37, Wind Resistance +40, Attribute XP +6%, M. Def. +90. MP +40, Wind Resistance +60, Attribute XP +10%, M. Def. +93. MP +42, Wind Resistance +80, Attribute XP +15%, M. Def. +96. MP +50, Wind Resistance +100, Attribute XP +30%, M. Def. +100. Petram’s Old Necklace – lvl. 1 MP +35, Earth Resistance +20, Attribute XP +3%, M. Def. +87. MP +37, Earth Resistance +40, Attribute XP +6%, M. Def. +90. MP +40, Earth Resistance +60, Attribute XP +10%, M. Def. +93. MP +42, Earth Resistance +80, Attribute XP +15%, M. Def. +96. MP +50, Earth Resistance +100, Attribute XP +30%, M. Def. +100. – Spirit Agathions have been added. They can be bought via NPC Svein (with 100% chance). – Spirit King’s Breath can be obtained as reward for completing one-time mission "Slay Spirit King" (check Daily missions). – Spirit Agathions don’t get Attribute XP and don’t evolve like Elemental Spirits do. – To summon Agathion you have to equip Agathion Bracelet. Agathion Ignis Equipping it in the Bracelet's main slot summons the Agathion Ignis and activates the Special Ability option. Fire Attack Power +100. Agathion Nebula Equipping it in the Bracelet's main slot summons the Agathion Nebula and activates the Special Ability option. Water Attack Power +100. Agathion Procella Equipping it in the Bracelet's main slot summons the Agathion Procella and activates the Special Ability option. Wind Attack Power +100. Agathion Petram Equipping it in the Bracelet's main slot summons the Agathion Petram and activates the Special Ability option. Earth Attack Power +100. – Attribute Fragments from Elemental Spirits can be used for acquiring helpful items via NPC Svein. Magical Tablet A tablet filled with magic power. Collect 31 tablets and give them to Trader Lorenzo or Harmony to get Spellbook: 3rd Class Transfer. Blessed Spirit’s Varnish For spirit accessories enchantment. If enchanting fails, the item will not be crystallized but the enchant value will be reset to 0. Depending on the item type, activates special options from level +1 and higher. Cannot be dropped/sold. – Rare Anakim’s and Lilith’s Runes have been added. They can be acquired as drop from self-titled raid bosses. – Maximum level of new runes - 10. – New runes can be combined, but unlike regular ones Anakim’s and Lilith’s Runes are combined from two similar items: 1+1=2, 2+2=3 etc. If combination is failed rune level stays same. –New runes can be equipped only in secondary rune slot. MP Recovery Bonus when using Recharge+5. MP Recovery Bonus when using Recharge +10. MP Recovery Bonus when using Recharge +15. MP Recovery Bonus when using Recharge +20. MP Recovery Bonus when using Recharge +25. MP Recovery Bonus when using Recharge +35. Recovers 75 MP when a skill is used. Affects only yourself. Recast Time: 1 min. (fixed). MP Recovery Bonus when using Recharge +45. Recovers 150 MP when a skill is used. Affects only yourself. MP Recovery Bonus when using Recharge +55. Recovers 225 MP when a skill is used. Affects only yourself. MP Recovery Bonus when using Recharge +70. Recovers 300 MP when a skill is used. Affects only yourself. MP Recovery Bonus when using Recharge +90. Recovers 600 MP when a skill is used. Affects only yourself. Recovers 100 HP during a standard attack. Affects only yourself. Recovers 200 HP during a standard attack. Affects only yourself. Recovers 300 HP during a standard attack. Affects only yourself. Recovers 400 HP during a standard attack. Affects only yourself. Recovers 900 HP during a standard attack. Affects only yourself. – New items have been added to Chamberlain’s Item List. – Price of previous items hasn’t changed. Improved Scroll: Castle Blessing - Party For 20 min. gives Castle Blessing buff for all party members. Maintains buffs and debuffs even after death. The Noblesse Blessing and the Lucky Charm disappear, however. Scroll: Castle Wind Walk - Party For 20 min. for all party members Speed +33. Max. HP +25, M. Atk. +3%, P. Atk. +3%. The effect doesn’t stack if two identical rings are worn. Cannot be exchanged/dropped/sold in a private store. Can be stored in a private warehouse. Max. MP +15, MP Recovery Bonus +0.2, Received Heal Amount +2%, Skill's MP consumption -1%. The effect doesn’t stack if two identical earrings are worn. Cannot be exchanged/dropped/sold in a private store. Can be stored in a private warehouse. Max. MP +25, M. Def +3, P. Def. +5, Mental Attack Resistance/Mental Attack Success Rate +3%, Skill MP consumption -1%. Cannot be exchanged/dropped/sold in a private store. Can be stored in a private warehouse. – New accessory have been added - Damaged Zaken’s Earring. It can be acquired in Instance Zone Balthus Knights - Zaken. 7 Bleed Resistance +10%, Stun Resistance +3%. 8 Bleed Resistance +10%, Stun Resistance +4%, Received Heal Amount +1%. 9 Bleed Resistance +10%, Stun Resistance +5%, Received Heal Amount +1%, Skill's MP consumption -1%. 10 Max. MP +12, Bleed Resistance +10%, Stun Resistance +5%, Received Heal Amount +1%, HP Recovery Bonus +5%, Skill's MP consumption -1%. — Damaged Zaken’s Earring +10 can be exchanged for regular Zaken’s Earring +0 via NPC Rash which is located in Balthus Knights Instance Zones. Zaken’s Earring MP +22, Bleed Resistance/ Bleed Bonus +10%, Stun Resistance/ Stun Success Rate+5%, Mental Attack Resistance +5%/ Mental Attack Success Rate +5%, Received Heal Amount +4%, HP Recovery Bonus +10%. MP +22, Bleed Resistance/ Bleed Bonus +10%, Stun Resistance/ Stun Success Rate+5%, Mental Attack Resistance +5%/ Mental Attack Success Rate +5%, Received Heal Amount +4%, HP Recovery Bonus +10%, Skill's MP consumption -2%. Reinforced Zaken’s Earring MP +28, Bleed Resistance/ Bleed Bonus +15%, Stun Resistance/ Stun Success Rate+10%, Mental Attack Resistance +10%/ Mental Attack Success Rate +10%, Received Heal Amount +6%, HP Recovery Bonus +15%. MP +28, Bleed Resistance/ Bleed Bonus +15%, Stun Resistance/ Stun Success Rate+10%, Mental Attack Resistance +10%/ Mental Attack Success Rate +10%, Received Heal Amount +6%, HP Recovery Bonus +15%, Skill's MP consumption -3%. Refined Zaken’s Earring MP +34, Bleed Resistance/ Bleed Bonus +20%, Stun Resistance/ Stun Success Rate+15%, Mental Attack Resistance +15%/ Mental Attack Success Rate +15%, Received Heal Amount +10%, HP Recovery Bonus +20%, Vampiric Rage effect +8%. MP +34, Bleed Resistance/ Bleed Bonus +20%, Stun Resistance/ Stun Success Rate+15%, Mental Attack Resistance +15%/ Mental Attack Success Rate +15%, Received Heal Amount +10%, HP Recovery Bonus +20%, Vampiric Rage effect +8%, Skill's MP consumption -4%. Damaged Antharas' Earring (from +0 to +3) Bleed Resistance & Bonus +1%. Damaged Baium's Ring (from +0 to +3) Bleed Resistance +1%. Major Quick Healing Potion Magical potion that immediately recovers 800 HP. No Recast Time. Can’t be used when HP is full. Cannot be dropped/sold. Quality Quick MP Recovery Potion Immediately recovers 300 MP. No Recast Time. Can’t be used when MP is full. Cannot be dropped/sold. – Gemstones D–A Grade can no longer be sold to Grocers. – Fixed an error when Agathion Saerom didn’t show tricks after using appropriate skill. – Fixed an error when Item Recipe: Chain Helmet (100%) used wrong Icon: blue one (like D-Grade recipes) instead of yellow (like C-Grade recipes). – New raid stages have been added at Clan Arena: 21–25. – Existing raid’s difficulty haven’t changed. – Maximum level of passive skill Clan Exuberance has been increased to 5. Clan Exuberance – Lvl. 5 For clan members HP/MP/CP Recovery Bonus +30%, damage received in PvE -10%, Acquired XP/SP +15%, Stun/Mental Attack/Paralysis Success Rate +5%. – New 25th raid stage and Clan Exuberance level 5 can be shown in Clan UI only when 10th Arena stage is achieved and skill level 2 is learned. For those Clans that haven’t achieved 10th Arena stage and haven’t learned Clan Exuberance level 2 Clan Raid`s page will be shown as it was before update. – Now there is certain chance to get “Blood Crystal” and “Scroll: PK” from Battle Box in Clan Arena. – New “Scroll: PK” can be used at any level and only in Floran Village (can’t be used outside of it) now. Scroll can be exchanged/dropped/sold. Exploration of the Giant’s Cave Kill 200 monsters on upper and lower levels of the Giant’s Cave except for the Giant’s Cave Entrance. Exploration of the Forgotten Island Kill 200 monsters in the inner part of Forgotten Island. Kill 300 monsters in Varka Silenos Barracks. Exploration of the Ketra Orc Outpost Kill 300 monsters in Ketra Orc Outpost. Hunter of Wind Attack monsters in Hunting Zone of Wind with Fire attribute to inflict more damage. Hunter of Earth Attack monsters in Hunting Zone of Earth with Wind attribute to inflict more damage. Hunter of Water Attack monsters in Hunting Zone of Water with Earth attribute to inflict more damage. Hunter of Fire Attack monsters in Hunting Zone of Fire with Water attribute to inflict more damage. Fire Spirit – Lvl. 3 Fire Spirit must evolve to level 3. Water Spirit – Lvl. 3 Water Spirit must evolve to level 3. Wind Spirit – Lvl. 3 Wind Spirit must evolve to level 3. Earth Spirit – Lvl. 3 Earth Spirit must evolve to level 3. Slay Spirit Queen Ignis Slay Spirit Queen Ignis 10 times. Slay Spirit Queen Nebula Slay Spirit Queen Nebula 10 times. Slay Spirit King Procella Slay Spirit King Procella 10 times. Slay Spirit King Petram Slay Spirit King Petram 10 times. Get level 85 Get level 85. Elemental Monster Hunting Kill 1800 elemental monsters. Extra Inventory - Lvl. 1 Number of Inventory slots +5. Extra Inventory - Lvl. 2 Number of Inventory slots +10. Extra Inventory - Lvl. 3 Number of Inventory slots +15. – New items have been added in Fishermen’s Guild Shop. – Use shortcuts in Agathion’s name to get information about their skills in our encyclopedia. Item needed to learn Expand Inventory Lvl. 1. Can be obtained from from Fishermen’s Guild member. Cannot be dropped or sold. Inventory Expansion Ticket - Lvl. 2 Item needed to learn Expand Inventory Lvl. 2. Can be obtained from from Fishermen’s Guild member. Cannot be dropped or sold. Inventory Expansion Ticket - Lvl. 3 Item needed to learn Expand Inventory Lvl. 3. Can be obtained from from Fishermen’s Guild member. Cannot be dropped or sold. Agathion Pisces (30 d.) Equipping in the main slot activates the unique abilities and activates the power of the Agathion Pisces. Cannot be exchanged/dropped/sold. Can be stored in a private warehouse. Agathion Cancer (30 d.) Equipping in the main slot activates the unique abilities and activates the power of the Agathion Cancer. Cannot be exchanged/dropped/sold. Can be stored in a private warehouse. Teleport - Gludio Teleports to Gludio. Cast time: 3 sec. Cooldown: 10 min. Teleport - Dion Teleports to Dion. Teleport - Giran Teleports to Giran. Teleport - Oren Teleports to Oren. – Existing Agathions Pisces and Cancer (15 d.) have been removed from item list. Cursor will change depending on whether target is friendly or hostile. While holding “Ctrl” button cursor changes into dagger and illuminates red, the dagger becomes bright red when attacking. –"History" tab has been removed from "Friend Manager" (Alt+Y). – “Change next target” function, which allows to choose next target like doing /targetnext has got an option to set hotkey that allows to switch between states. “Change next target” function can be turned on at “Options > Game Play”. Hotkey for switching target types can be assigned at “Options > Shortcut”. Combination Ctrl+T is set by default. – All players on the server will receive a message upon a successful enchantment. The message appears on the center of the screen and stays there for 5 seconds. The message contains the name of the character. Weapon enchantment +15 or higher. Armor and accessories enchantment +10 or higher. – Now it is impossible to change Looting Method rules while inviting to party. 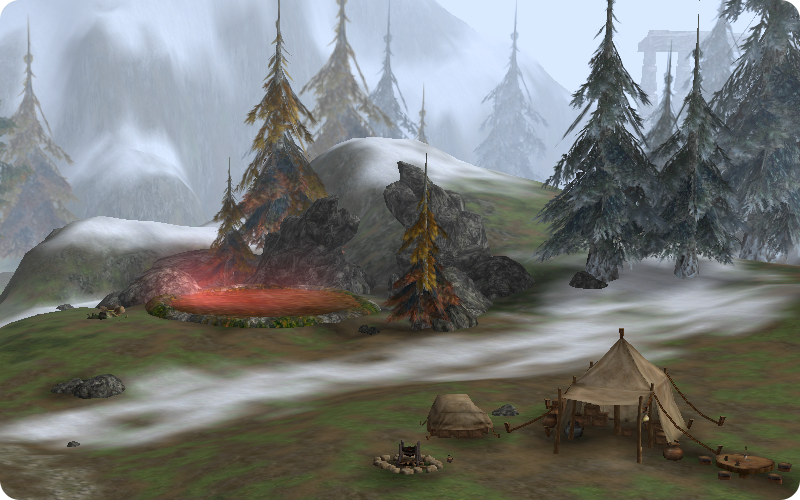 – Summoning Crystal has been added to the Grocers stock in Aden, Giran and Dwarven Village. – Characters level 70 or lower can get effect Blessing of Protection from Gatekeepers. Scroll of Escape (Novice) (3 pcs) Magical scroll that relocates you to the nearest village. Can be used by new players only. Cannot be exchanged/dropped/sold in a private store/sold in a NPC store. Adventurer’s Potion - Atk. Speed (5 pcs) Increases attack speed for 20 min. when used. Cannot be exchanged/dropped/sold in a private store/sold in a NPC store. Can be stored in a private warehouse. Healing Potion (Novice) (10 pcs) Weak magical potion that slowly restores HP. Cannot be exchanged/dropped/sold in a private store/sold in a NPC store. – Fixed an issue when character`s icon would be incorrectly displayed on radar if character is in a party. – Fixed an issue when hairstyle of female dark elf №1 in the list of hairstyles at the character creation screen didn’t match hairstyle of character’s model. – Fixed an issue when order of items in inventory was broken. – Fixed an issue when damage was shown in chat window even after turning off this option in Settings tab. Quest type Daily (reset 6:30 am). Repeated (no reset time). Amount of items Collect Crumbs of Penitence x35. Collect Crumbs of Penitence x50. PK counter decrease Randomly from 1 to 3. Always 1. “Hour of Penitence" effect Duration time: 5 h.
Cooldown time: 12 h. Duration time: 1 h.
– ”Brothers Bound in Chains” quest will be deleted from the quest journal during the update installation. It can be taken again in a modified form. – Devil's Isle Agent Nikia at the Devil's Isle will not transform you into an Undead Pirate during the “Gone Missing” quest if you have summoned servitor. – Fixed an issue with character getting attacked by some mobs while transformed to Undead Pirate during the “Gone Missing” quest. 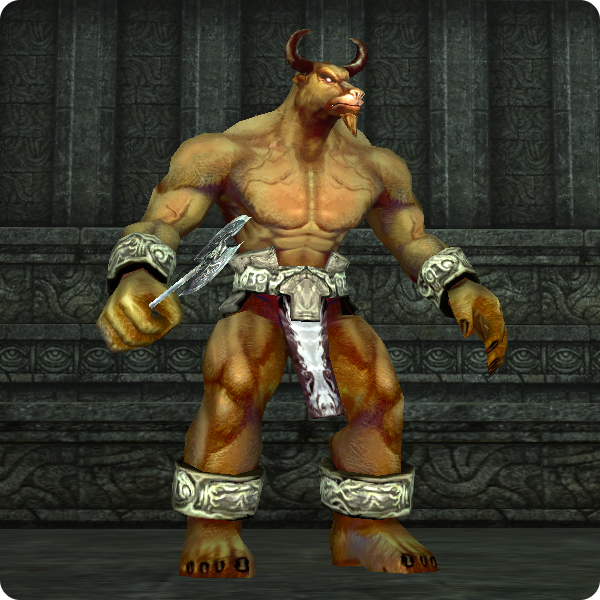 – NPC Kukoni , Sombrie , Rissuos and Gallu will respawn during the ”Quarrels Time” quest following new rules. They will respawn in normal appearance during the day and in cursed at night. Game changes can be discussed in this THIS topic.